We often depend solely on our five human senses to try and determine the consequences of any given situation. 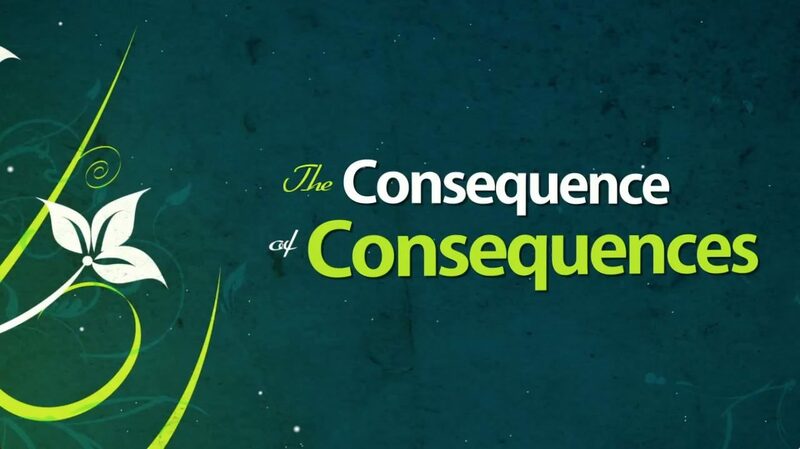 Anticipating consequences we do not desire then leads to manipulation and greater consequences. Share a time when your human senses seemed to be telling you one thing, and the Word of God another. Read and discuss Genesis 27. What do these verses tell us about man? About God? In what way were consequences anticipated and situations manipulated as this story played out? How did human senses come into play in this narrative? How did that work out? How often do you find yourself afraid of the unknowns of the future? What specific "future fears" do you find yourself dealing with? What comfort can you take from the character and Word of God to lead you toward obedience and away from human fears?